Tickets for this event are limited due to the amount of decor being installed & our desire to have room to dance. We suggest you purchase your tickets now to avoid missing out ad also saving some money. It's simple, Black & White or just Black or just White. 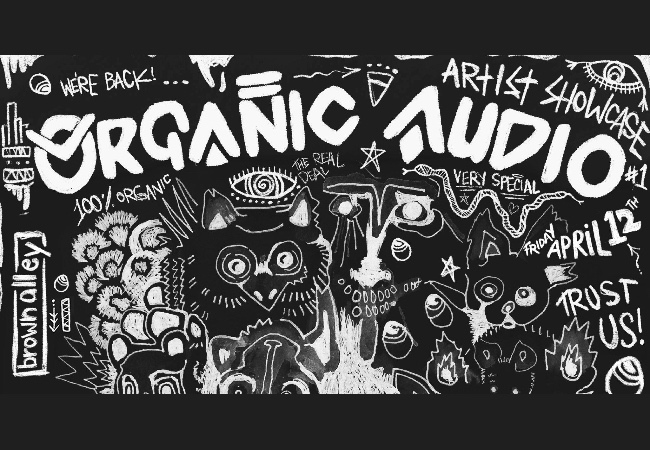 Organic Audio is a collective of Australian artists. We produce events, fill spaces with art and include everyone in the process. With this new concept we are beginning to home in on specific artists and will run a number of events showcasing a dj/producer & a décor artist all night long!